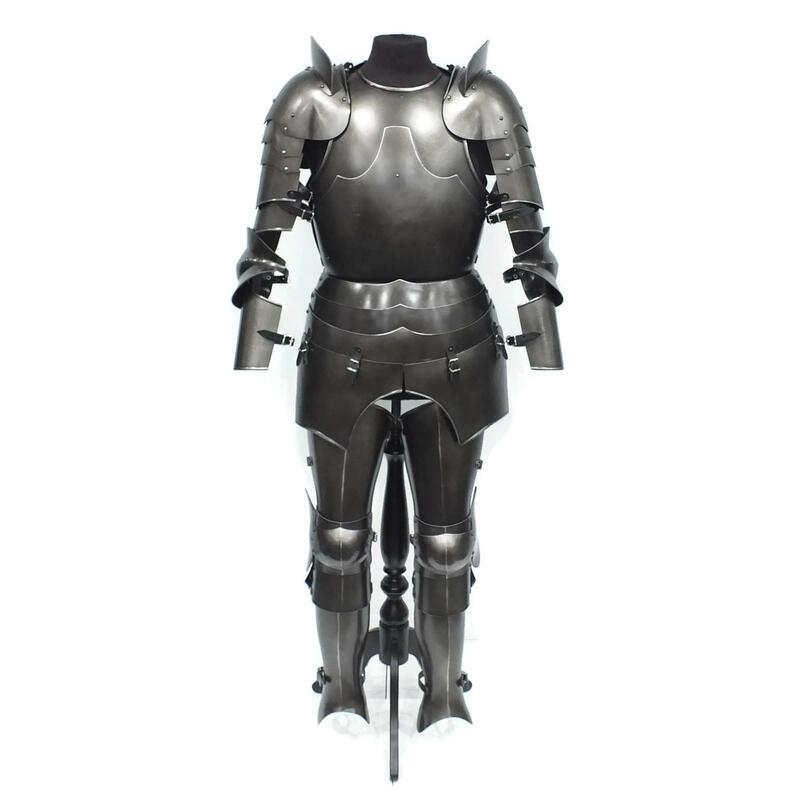 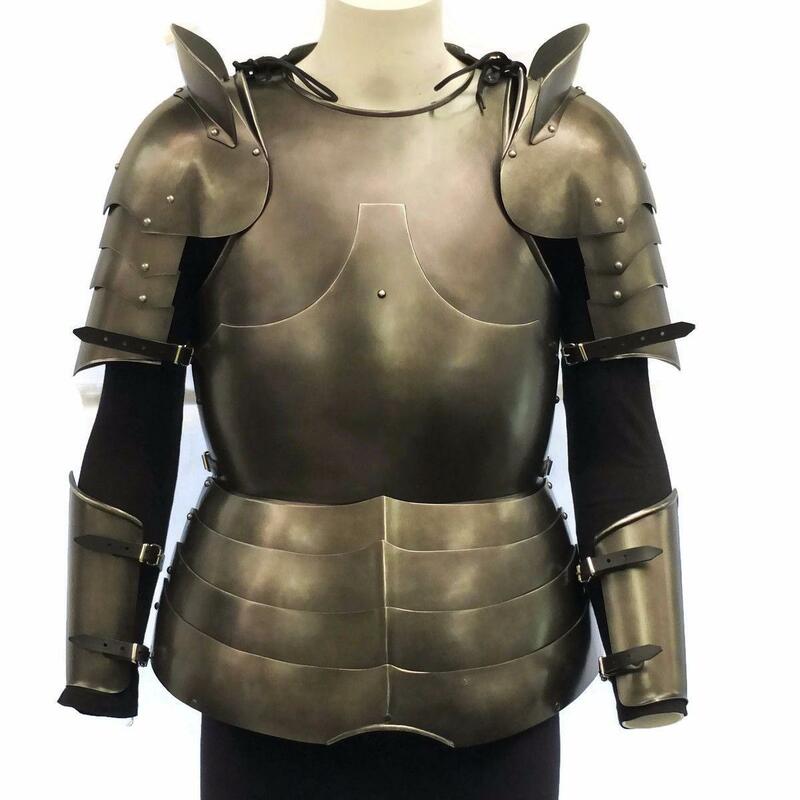 Pic 6 - shown worn with Decorative Gothic cuirass and Decorative Fluted Vambraces (available separately). 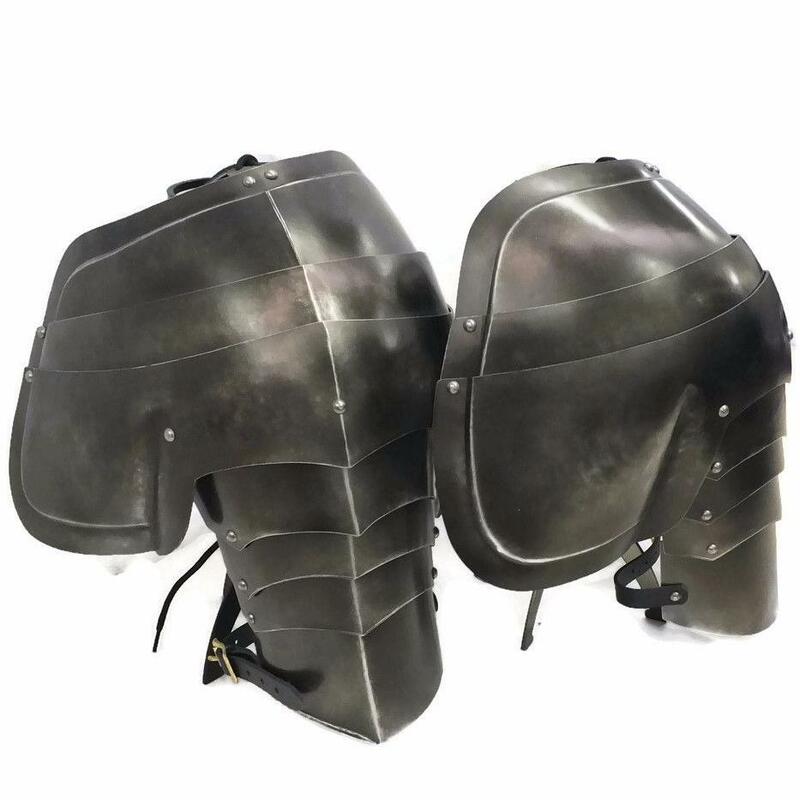 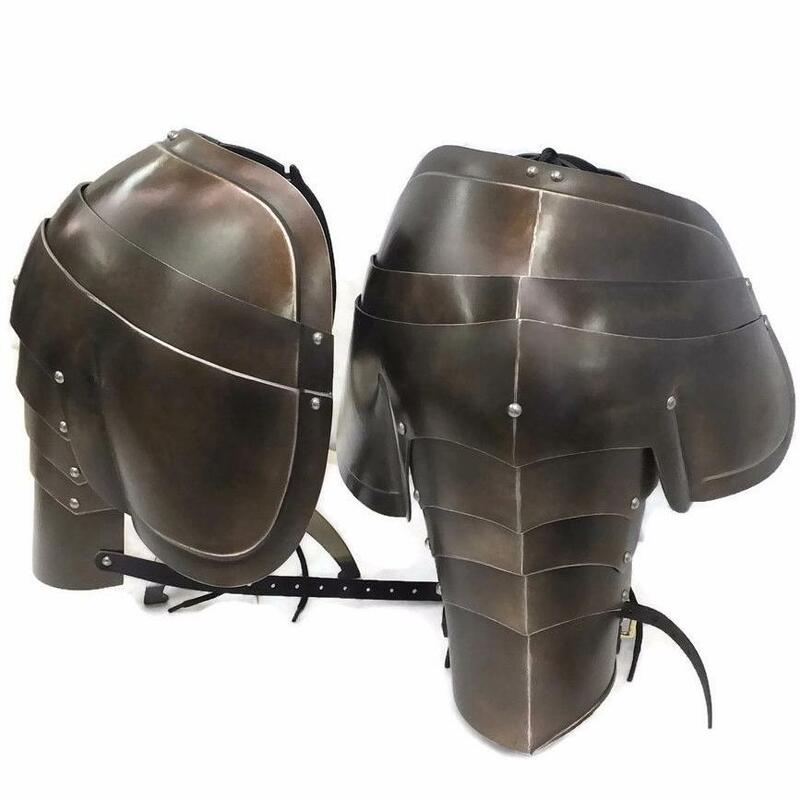 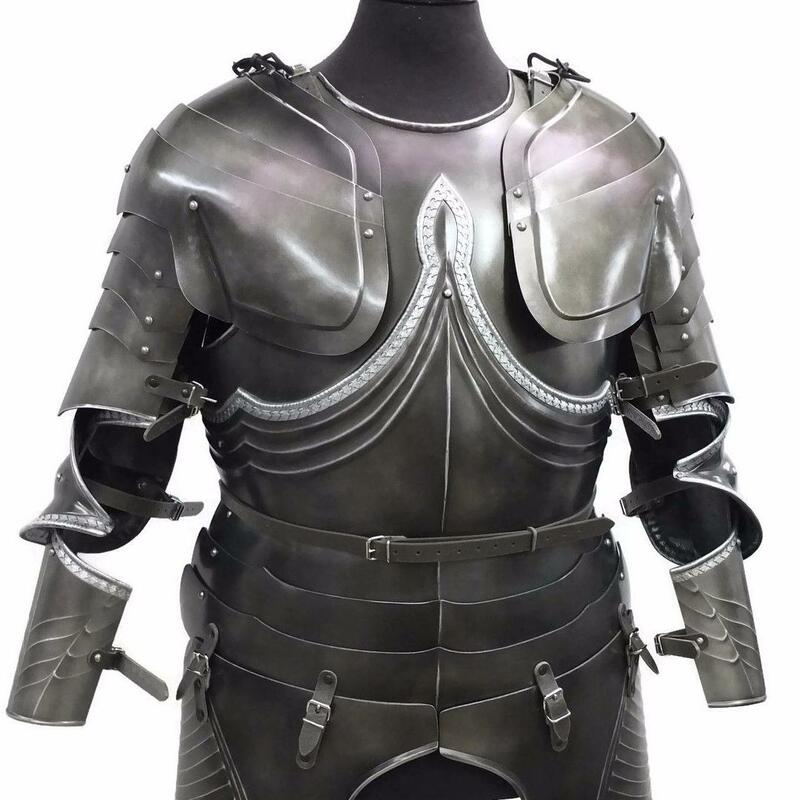 Medieval style articulated shoulder armour. 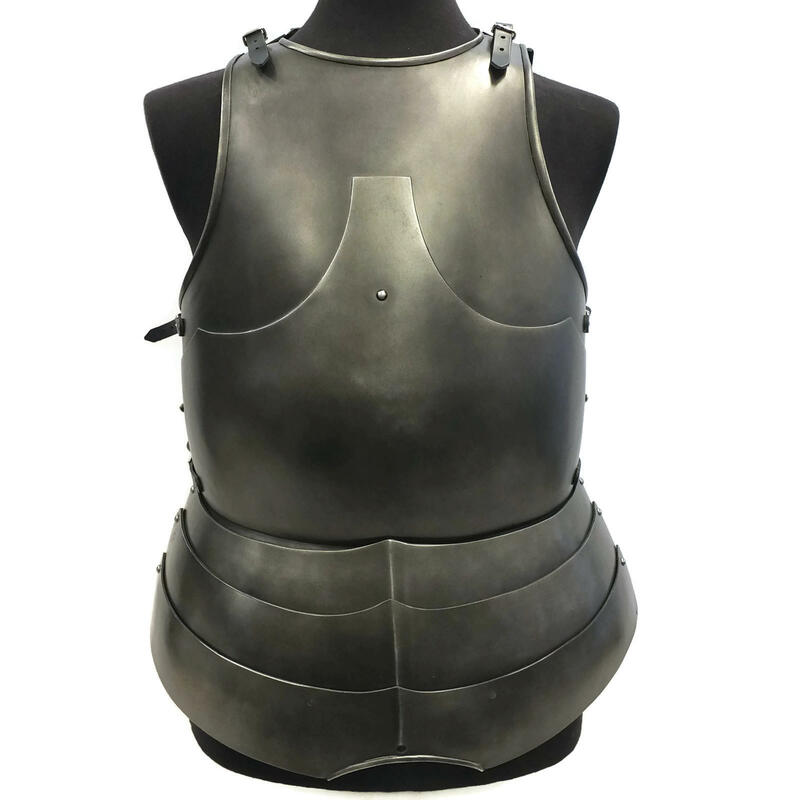 Complete with black leather straps and shoulder lacing. 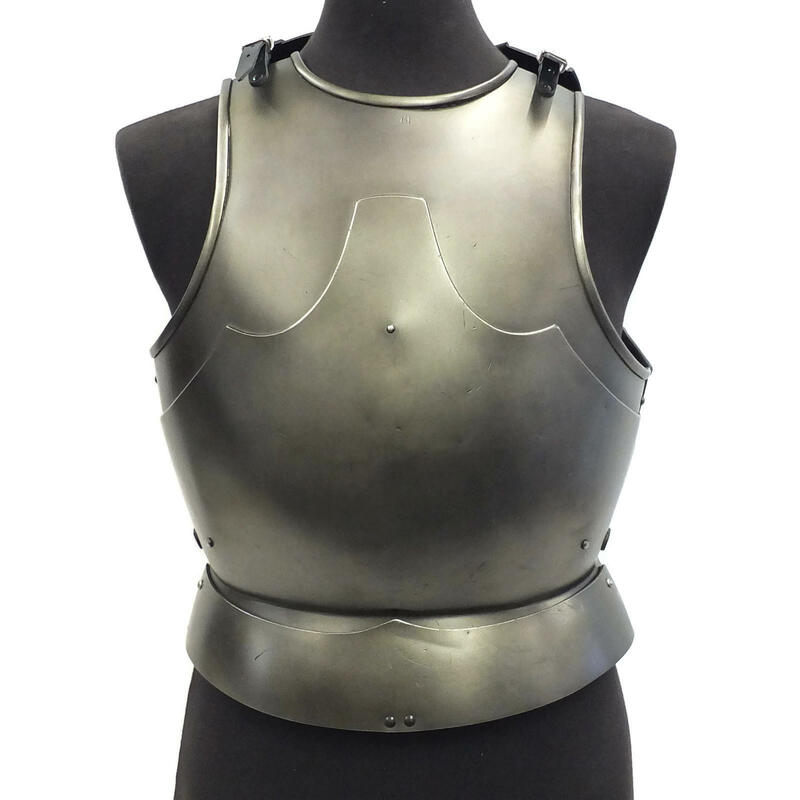 Made in the UK by Wyrmwick Creations Ltd.